Cebu City is the capital of Cebu province in the Visayas region of the Philippines. It is situated at the eastern shore of the island, and right across the island of Mactan. Both islands are connected by two Mactan-Mandaue bridges. Cebu City is the oldest city in the Philippines and is the location where the first Spanish settlement was built, headed by famous Portuguese navigator, Ferdinand Magellan. Metro Cebu is now a densely populated city with an estimated population of over two million residents. Last year, the city ranked 8th in the Top 100 Business Process Outsourcing destinations in the world, making it one of the major hubs for the BPO industry in the Philippines, right next to Metro Manila. Being one of the pioneer cities in the Philippines, Cebu City is rich with Spanish culture and historical landmarks. Through the decades, the city has become more progressive and more industrialized than any other place in the region. There are newly developed structures and innovations every year that also promotes tourism, attracting more and more people annually. 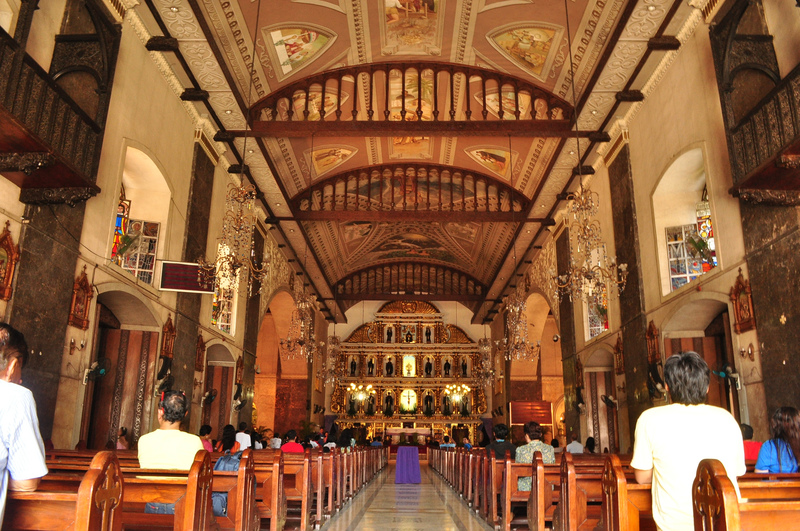 Even though Cebu City has become the center of commerce and industry in the Visayas region, it is still in touch with its ancestral roots, the influence of the Roman Catholic, and the Spanish culture is still evident in most Cebuanos. Every third Sunday of January, the people of Cebu celebrates the Sinulog Festival in honor of the Santo Niño de Cebu . Popular tourist attractions within Cebu City are all accessible by riding a Jeepney or by taking a cab, locals are also very helpful in giving directions to foreigners so it is very unlikely that you will get lost even if its your first time. (Most of these attractions can be visited in a day by booking a day tour). Built in 1841, Magellan’s large wooden cross is the proof of his Catholic influence over Filipinos. It is properly housed in a stone rotunda within the City Hall area. A 40-storey tower situated at the heart of Cebu City. Aside from the exceptional services and amenities, Crown Regency boasts its unique Sky Extreme Adventure Facilities which includes Paramount Climbing Wall, Drop Zone, Sky Walk, and even a Zipline across its two high-rise towers. 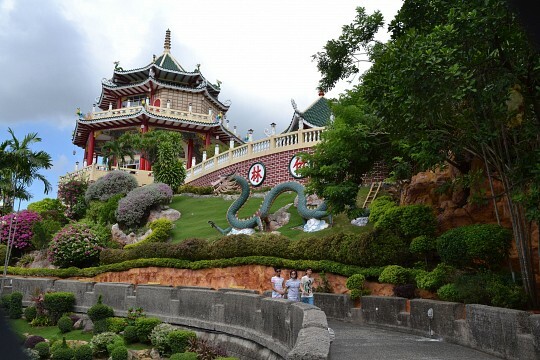 The Cebu Taoist Temple is one of the most visited attractions in Cebu, it was built in 1972 as a center of worship for Taoism by the Chinese community residing in the city. The oldest Catholic church in the Philippines. It was built in 1565 by Spaniards led by explorer, Miguel Lopez de Legazpi. Parts of the bell tower was damaged during a series of earthquake which struck both Cebu and Bohol in 2013. It is currently being restored and is expected to be completed in 2015. This is a privately-owned nature reserve and museum built in 1974. The butterflies in the sanctuary were gathered by the late Professor, Julian Jumalon. Currently, his collection is recognized as the largest and oldest butterfly collection in the Philippines. Formerly named Asiatown IT Park in the 1990s, Cebu IT Park is a business park that serves as the main hub for the BPO industry in the city. There are plenty of outsourcing companies and mid-rise to high-rise buildings present in this area. 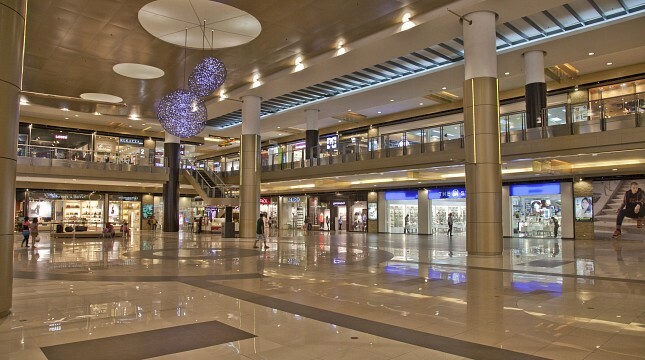 The ground floor of each building are packed with a variety of restaurants, American franchises, and shopping establishments. During the evenings, the IT Park turns into a lively nightlife destination due to the presence of restobars and disco clubs. Perfectly located on the hills of Busay, the Tops Lookout has a panoramic view of the entire city (including Mactan Island). The fee to enter the premises is only ₱100 ($2.20). There is also a zip-line adventure park right across from the Top’s entrance. The oldest and most crowded street in Cebu (also in the entire of the Philippines). In the earlier years, Colon was Cebu City’s primary shopping district. It is now a little bit run down but is still frequented by people due to its commercial establishments, stalls, sidewalk vendors, and its accessibility to public transportation. Pit Senyor! The festival of Santo Nino de Cebu, or most commonly known as Sinulog Festival, is Cebu’s biggest and grandest fiesta. Sinulog is celebrated every third Sunday of January – to affirm the cultural identity and religiosity of the Cebuanos. To put it simply, it is the commemoration of the people’s conversion to Christianity (which was influenced by the Spanish settlers). The festival lasts for nine days, whereas before the culminating day, a religious fluvial procession is held at dawn by the Archdiocese of Cebu. A decorated boat carrying the sacred statue of Santo Nino sails from Mandaue City to Cebu City, it is then brought to the Basilica Minore del Santo Nino de Cebu where a mass is celebrated, depicting the baptism of the Filipinos to Roman Catholicism. The procession continues in the afternoon on the streets of Cebu City. Ferdinand Magellan arrived in Cebu on April 15, 1521, and claimed the island as a territory of Spain. The image of Santo Nino, or the child Jesus, was then presented to Hara Amihan as a baptismal gift. Later on, the natives of Cebu (ruled by Rajah Humabon, husband of Hara Amihan) were baptized to Christianity. The baptismal was then regarded as the very first Sinulog. At the culminating day of the festival, the Sinulog Grand Parade is held which usually lasts an entire day. 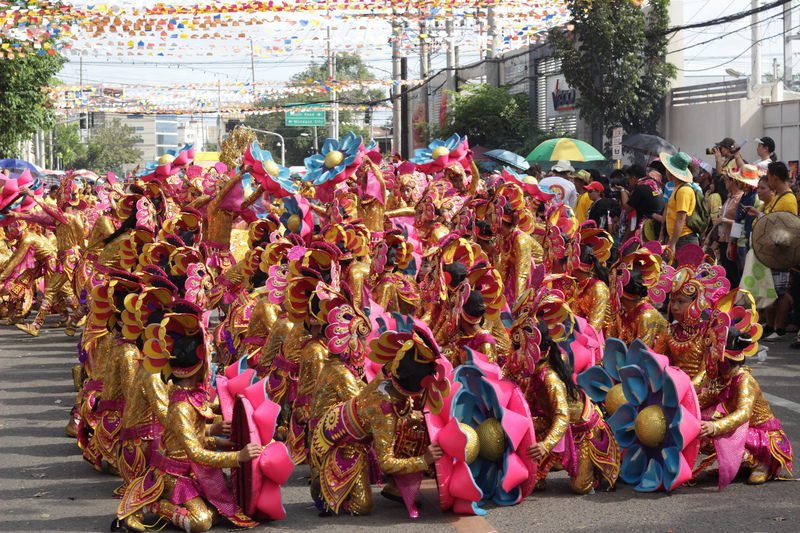 The street dancers are dressed in brightly colored garments while performing the Sinulog dance, which is a two steps forward and one step backward movement following the rhythm of the drums. People from all over the country travel to Cebu just to witness the street parade, dubbing it the festival of festivals because of the huge number of participants it attracts. In addition, the word ‘Sinulog’ actually comes from the native word ‘sulog’ which roughly translates to “like water current movement”, which is where the Sinulog dance’s movement originated from. Miss Cebu Pageant – the most prestigious beauty pageant in Cebu, candidates compete for the title of being the most beautiful woman in the city. Fireworks Display – after the grand parade, a multi-million, grandiose, pyrotechnic display can be seen all over the city. Other minor activities include The Festival Queen, Sinulog Photo Contest, and the Sinulog Short Film Festival. Ayala Center Cebu is the 2nd largest shopping mall in the city. It was initially constructed in 1994 and was redeveloped in 2008, replacing the lagoon beside the mall with an extension called ‘The Terraces’. It is an upscale strip where most people enjoy outdoor dining and drinking. Other shopping malls within the city are the Gaisano Country Mall, Robinsons Place in Fuente Circle, JY Square in Lahug, and the newly-opened J Center Mall. There is also another SM Mall in Consolacion, but is smaller and not as grand as SM City Cebu. SM City Cebu is the biggest shopping mall in Cebu City with an estimated land area of 11.8 hectares. It is operated and developed by SM Prime Holdings, which is the largest mall developer in the country. After over a decade since it was built, the Northwing expansion building was constructed. An IMAX theater was also added to the mall in 2008. Another shopping destination in Cebu can be found along Colon Street and Carbon Market. There are a variety of stalls available, ranging from affordable clothes down to authentic Cebuano guitars and handmade crafts. Everything that is sold in the Carbon Market are much cheaper than those sold in the malls. For foreigners and tourists, it is always advisable to bring someone with you when shopping in these areas. Filipinos are known to enjoy all kinds of cuisines, especially trying out dishes from different countries. Plenty of restaurants in the city have thrived in serving different flavors to its locals and guests. The best Filipino cuisines in Cebu can be found at the Golden Cowrie and the Lantaw Floating Native Restaurant. A lot of American franchises can also be found around the city, but if you are looking for great quality food without spending a fortune, most people will tell you to visit Casa Verde. The boneless Lechon (Roasted Pig) belly is also a must-try for every tourist, be sure to check out ZubuChon, one of Cebu’s local franchises. Foreigners who are looking for some fun and excitement can find everything they need in the city’s major entertainment spot, Gen. Maxilom Avenue, or most popularly known as ‘Mango Ave’. This long, busy street is populated with a variety of restaurants, upscale restobars, KTV bars, and nightclubs. One of the best places to hang out and meet locals is in Alcology. Loft – a posh high class lounge located in Cebu IT Park. Vudu – also one of the most frequented drinking lounges located in Crossroads, Banilad. MO2 Disco Bar – a mixed outdoor restaurant and disco lounge, guests can also play billiards or rent a KTV room. Aside from Colon Street being the oldest street in all of the Philippines, it is infamous for being a place where most crooks prey for their victims. It is also advisable to avoid taking out your mobile, expensive gadgets, and jewelries while walking in public areas or riding a Jeepney. Snatchers are always on the lookout for possible victims among commuters and especially foreigners. Just like in other popular nightlife destinations like Bangkok and Phucket in Thailand, foreigners should also be careful when walking alone along Mango Avenue. Muggers will take advantage of drunk foreigners and tourists, while some women who dress in provocative clothes will not hesitate to approach and offer indecent propositions. The most practical (and cheapest) way of getting around the metro area is by riding PUJs, or Private Utility Jeepneys. These Jeepneys are unique and can only be found in the Philippines. These are public vehicles or mini-buses that travel on different routes across the city. Taxis or cabs are also available everywhere in the city. Cebu City has a North Bus Terminal for tourists who wants to go to other places north of the province (like Bantayan Island). On the other hand, tourists who wants to travel south of the Cebu can ride buses at the South Bus Terminal. The flag-down rate on the meter is ₱40 ($0.88) (less than $ 1.00 USD ) and charges ₱4 ($0.08) every 984 feet traveled, ₱4 ($0.08) every 2 minutes during stops. Being one of the most visited cities in all of the Philippines by people from all over the world, Cebu City has all sort of accommodations fit for the needs of all visitors. From budget inns to luxury hotels and resorts, Cebu has it all. The most popular hotels within the city are the Crown Regency Hotel and the Waterfront Cebu Hotel & Casino. Both are well-known for its modern amenities and convenient location. 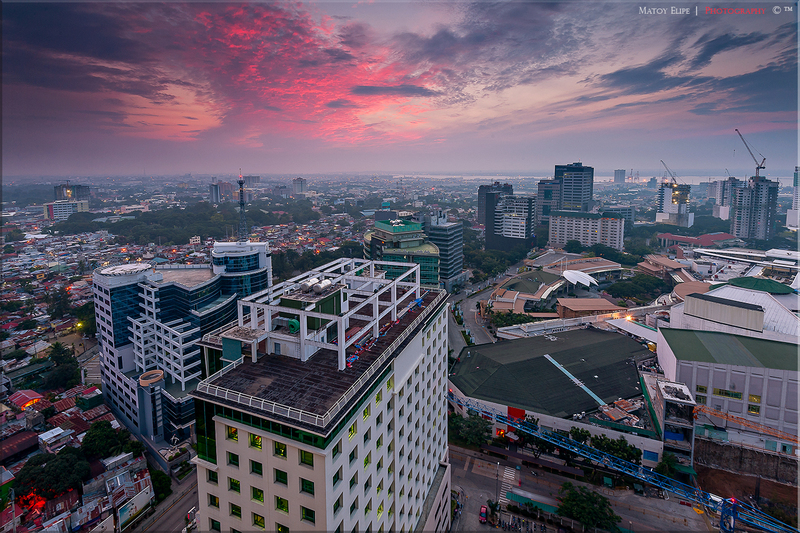 Other top-rated accommodations within the city are the Radisson Blu Hotel (which is conveniently located beside SM City Cebu), Marriot (beside Ayala Center Cebu), and the Marco Polo Hotel (their city-front suites has the best view of the city). Also check out the accommodations on nearby Mactan for beach resorts ranging from the cheap to extravagant such as Shangri-La Mactan. Mactan Island – The island is popularly known as Cebu City’s sister city. It hosts a large number of beach resorts and resort hotels such as the Shangri-La Mactan, JPark Resort, and Plantation Bay. Moalboal – Despite not having a typical white sand beach, it has still become one of Cebu’s top diving spots and go-to summer destinations. Bohol – A 2-hour ferry ride from Cebu City. It is popular around the world for its Chocolate Hills and exotic wildlife. The Tarsier, which is an endangered animal, can only be found in the island. Bohol is also considered one of the Philippines most beautiful wildlife and forest preserves. Panglao Island – An island resort near Bohol, popular for its white sand beaches, exciting diving spots, and luxurious hotels. The Hinagdanan Cave can also be found here. Bantayan Island – Also one of the top beach destinations in Cebu. During summer season, the island is packed with tourists and locals alike due to its month-long back to back events.